Image credit: NASA/ESA Hubble Space Telescope. 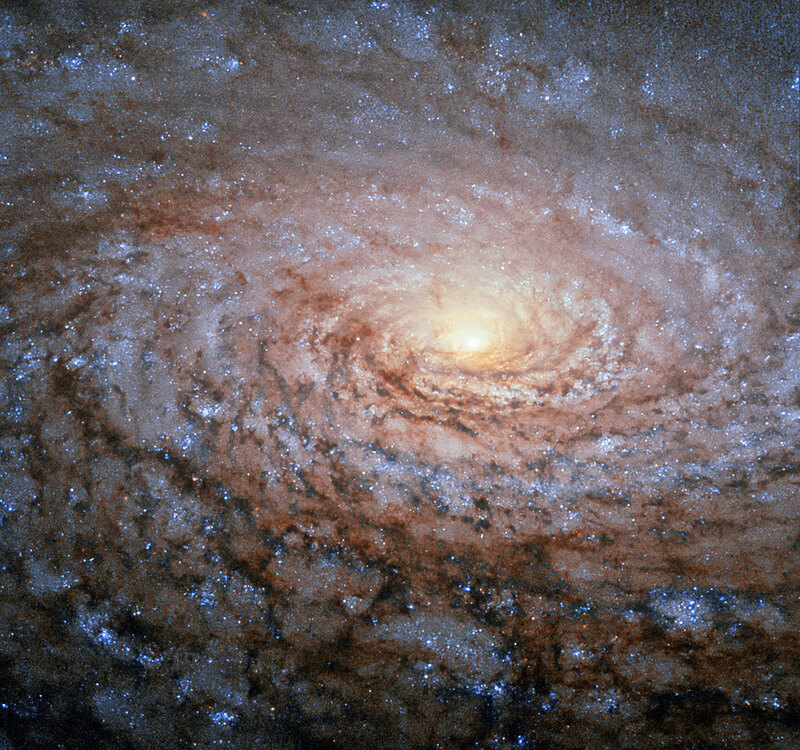 Located 27 million light years away in the constellation of Canes Venatici (the hunting dogs) is this beautiful spiral galaxy cataloged as Messier 63, the “Sunflower Galaxy.” In this close up view of the main body we can see the telltale signs of star formation in the form of young blue and white stars and clusters of stars mixed with a dark web of star forming material. Have a great weekend everyone. Discovery: Pierre Mechain on June 14, 1779 and added to the Messier catalog later. Image | This entry was posted in Astronomy (Learning), Astrophotography (DSOs), Galaxies, Images and tagged DanSpace77, ESA, Hubble, Hubble Space Telescope, M63, Messier 63, NASA, Sunflower Galaxy. Bookmark the permalink.